Keep scrolling for seven ways to save money on your engagement ring—and to shop some of our favorites now! "Gold provides the best value. Prices have steadily risen over the years, so it's a good investment metal but more affordable than platinum," Andrea Novella of Gemma Jade Jewelry told investment site WiseBread. "Ask for an 'eye-clean' diamond, rather than 'flawless.' 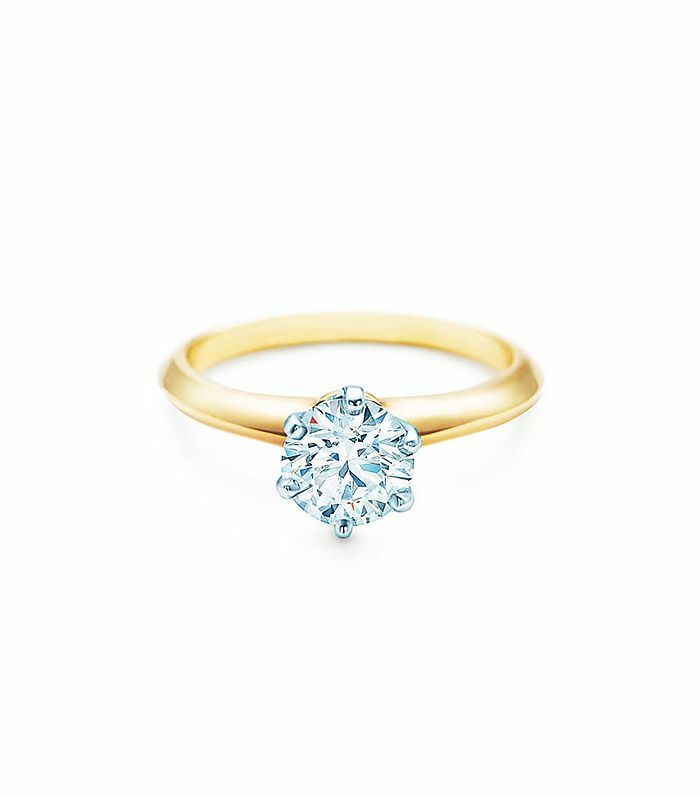 Most so-called 'flaws' occur naturally in diamonds and can't be viewed by the human eye—no one will see what it is you're paying so much for," jeweler and Blue Nile spokesperson Josh Holland told Business Insider. "To achieve the best value, consider a near-colorless (graded G-H) instead of a colorless (graded D-F) diamond or a VS2 (Very Slightly Included) clarity grade as opposed to a Flawless clarity grade." Because vintage rings feature diamonds that were mined years ago, you cut out the labor costs that often contribute so much to the price of modern-day rings. Plus, vintage jewelry is in, so you don't have to worry that your ring will look antiquated.